Yesterday, I posted a link to an article from the Times on the nature of titles and the response of some women to being called ma’am. My female Twitter audience seemed to agree that they didn't really care for the title—though older females indicated that ma’am didn’t bother them as much. I have only been called ma’am once. I was definitely put off by it, but the sales clerk who did it had to be about fifteen, so perhaps I looked like a ma’am to her. (Still, yikes!) Ma’am is my mom, my aunts, my mother-in-law. Ma’am can now probably be applied to some teachers I had in school. My feeling is that I am not a ma’am. I might become one in the future, but for now that is not me. But we’ve talked about identities—if I can be a researcher, bibliophile, wife, daughter, mentor, sister, daughter-in-law, strategist, writer and any number of other roles (including dishwasher and litter “scooperer”)—so why does ma’am rankle me so much? My other identities are a mix of gender, hobbies, and profession. Ma’am is a gendered expression. So what’s the big deal? The article points out that if you have earned a title, being called ma’am almost seems like an insult. But if you’ve earned the title of “Dr.” or “Professor” or “Judge” or “Chief” then you deserve to be acknowledged in this way if you prefer. Ma’am doesn't draw attention to any accomplishment—it's about age, and in a culture where youth is prized highly (the beauty industry seems to be doing quite well), ma’am can feel like an unexpected chill on a wonderful summer day: unwelcome, unexpected, and incomprehensible. The original coffeehouses were public gathering places. They were social spaces where people could argue politics, get and share news, and just generally enjoy each others' company. This trend persisted despite attempts to ban these meetinghouses and the caffeinated beverage that drew people together. Coffee—and caffeine—had us hooked on this type of downtime. But it wouldn’t last. In the early 90s, the coffee culture changed: leisure shifted and work began to travel with us. Laptops, smart phones, WIFI—the coffeehouse became an extension of the workspace. But perhaps because we’re in the midst of the Great Recession, people aren’t working quite as much anymore. It may not be by choice, but fewer people are plugged in all the time in the same way they might have been before. And as the working culture changes, the coffeehouse proprietors have the chance to revive the coffee culture (and admittedly, save themselves a few dollars as well). Around the web this week: new aggregators and a few groups you may have missed, a biological look at why we like spicy foods, excitement over blubber concrete, dolphin snot can be useful, and flour helps us understand Paleoindian social life. Remember Jurassic Park? You'd think that particular disaster would have been a lesson about the dangers of blind science. Apparently, it wasn't. In Scott Sigler's most recent writing endeavor, mad scientists are at work once again seventeen years later. And while their intentions are (basically) good, as is usual in this type of plot, they have been blindsided by greed and the glory of science, and their efforts unleash hungry horrors with the potential to breed. Sigler's Ancestor found its way into my bag in June via the Read-It-Forward program. It worked its way down to the bottom and made itself comfortable—and thankfully, it was still there when the fire at an LIRR switching station added about an hour to my commute time—giving me ample opportunity to catch up on my reading. The initial experience with Ancestor was disconcerting because Sigler doesn't waste any time developing his characters—they are fully formed and in the midst of action when the reader meets them, so it's as though you've walked into a play in progress. Once immersed in the story, however, (which in this case takes about a quarter of the book), it's an entertaining, quick read, where you cheer for the bad guy's demise—and hope that it's as painful as it can be. Ed Note: It is with great pleasure that AiP plays host to Eric Michael Johnson as part of the Primate Diaries in Exile blog tour. 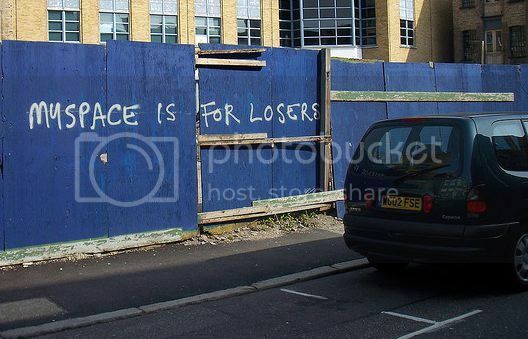 Eric has written a fantastic post on the anthropology of social networks, covering the racial and economic disparities of Facebook and MySpace. You can follow other stops on this tour through his RSS feed or at the #PDEx hashtag on Twitter. Eric, you're definitely welcome any time! When I was in high school in a small California town I quickly figured out that mixing cliques was difficult. My network of friends initially extended across cultural and class lines but I soon understood that I had to choose. Since I lived in the rural mountains just outside of town many of the friends I grew up with would, in high school terms, be classified as “rednecks” or “white trash.” But as I was building my self-identity I gravitated more towards my artistic and theater friends and away from those who enjoyed heavy metal and going off-roading in their pickup trucks. But in order to fit in I found I had to adopt the same style as those around me. So out went the sports T-shirts and ball caps and in came the thrift store clothing and suit jackets. I found it strange that to be an independent freethinker (what my friends in the arts saw as the most important quality) I would have to dress and act just like them. Little did I know it, but this would be an important lesson in understanding the anthropology of social networks. Facebook users are probably already familiar with the "People You May Know Feature" on Facebook which attempts to connect users to people whom they may, well, know based on degrees of connectivity. This feature has moved toward the bottom of the page and has been replaced by a "Friend Finder" feature which offers to search the user's email address book for potential missing contacts, but the idea remains the same: network saturation. These tools are meant to maximize the potential of our online networks, but are they really working? I work in Peru, where a lot of coffee, particularly organic coffee, is grown. What's always seemed strange to me is that quality coffee is not available in most of the country. Whereas brewed coffee is sold at every street corner in non-coffee producing countries like Chile and the US, Nescafe instant is the only coffee you'll find in most Peruvian stores, restaurants, and homes, even in cities of 70,000 people or more. It costs more than in the US (while most foods cost less), about a day's wages for a rural laborer for an 8oz/225g can of instant coffee. Instant coffee is really popular as a breakfast item, often with sugar and evaporated milk. What kinds of economic patterns could lead to a product being less available and more expensive in the country in which it is produced? Why don't growers bring beans to markets in the highlands or the coast and undermine Nestle's monopoly with a cheaper, tastier product? I have never been able to fathom it. It may have something to do with the fact that part of instant coffee's appeal is that it is a pre-packaged product you buy in a store, not at the market. As such, it is a marker of middle class identity. Or maybe the growers have exclusive contracts keeping them from selling their beans domestically. Does anyone have ideas about what's going on? Well, it's an interesting question. Why wouldn't Peruvians take advantage of the locality of a popular product? Are they not interested in coffee? Are there mitigating circumstances—as there usually are? I contacted Dr. Kevin Birth from the Queens College Anthropology Department to see if he could shed some light on the question for us. While Dr. Birth has not worked in Peru, his fieldwork was based in Trinidad and his experiences may allow us to understand what may be happening in Peru—interestingly, Trinidadians also grow coffee and drink Nescafe. Notable in anthropology and science around the web: the spill in the Gulf may finally be capped (soon) but there's plenty of reason to worry, digital data collecting, camel jumping, and Harriet Tubman's hymnal. Fellow blogger and Scientope Scicurious played host to the most recent edition of The Giant’s Shoulders, a blog carnival that recognizes folks who use classic science papers in their writing. Sci put together a spectacular collection of posts based on the theme of Fools, Frauds, and Failures, and it’s certainly worth perusing. I had high hopes for participating in this round of the carnival, but the truth be told, life just got the better of me. I really don’t have an excuse since GS is published monthly, and I had ample time to get started, but every time I sat down to write this post, *something* would happen—the cat would begin to beat up the kitten, the laundry would need to be folded, S would suggest we watch a movie, Bear Grylls would make another close escape, the Mets would lose (again) sending me into a spiral of despair, you get the idea. I really wanted to participate though because I have the perfect anthropological case to fit all three elements of the theme. So I’m a few days late, but I’m inviting you to take a hop across the Pond with me to explore a case of anthropological foolery, fraud, and failure that will probably be familiar to many anthro students. AiP readers know that I'm deeply interested in the intersection of digital media and daily life. Last week I had the opportunity to view a mini-documentary by George Haines called Decade 2. It explores how Gen-Y views these technologies in their own words. His target audience is educators, and as I have argued for implementing social tools in the classroom previously, I think this could be an important tool in breaking the ice. In Decade 2, a group of Gen-Yers give viewers a glimpse of their world, showing the ways in which social and digital media is enmeshed in their daily lives. Done in a very homemade style, viewers feel as though the participants are actually speaking to them via webcam. What emerges is at times expected: the stories of addiction-like tendencies with social media, a seeming reluctance to connect in a one-to-one way—in fact, one participant in this project, Daniel Delaney, emphatically tells viewers NOT to leave him a voicemail. But viewers can't discount the picture that emerges showing the younger workforce engaged in a world that will soon become the norm. And perhaps in addition to reading, writing, and arithmetic, it's also time to talk about digital sources, friending, and digital authenticity in education. Zahi Hawass, Frank Goddio, and the Discovery Channel invite you to step back in time and imagine the world of Cleopatra, which has largely been lost underwater. Cleopatra's story is filled with intrigue, romance, and a fair amount of danger, but is it worth the admission price of the exhibit? This week's selection of science and anthropology posts from around the web include a look at volcanic ash, witches, and the origin of turkeys. I was at my supermarket doing a late night run for a snack—mmmm, frozen fruit bars. Truthfully, I can rarely go to the supermarket for just one thing. I get there and suddenly I remember that we need milk or that I wanted an avocado for tomorrow's dinner. (I think there may be a Seinfeld episode where Jerry makes a similar point, but I couldn't find the reference. Anyone out there know the episode?) For this reason, my quest for frozen fruit bars was sure to take me to other parts of the supermarket. 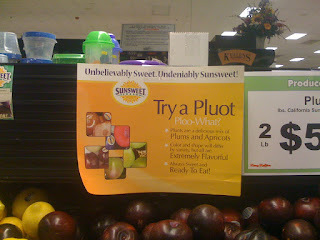 So there I was in the produce aisle, having been lured by a sign that plums were on sale when I turned around and saw another sign advertising Pluots hanging over the plums. 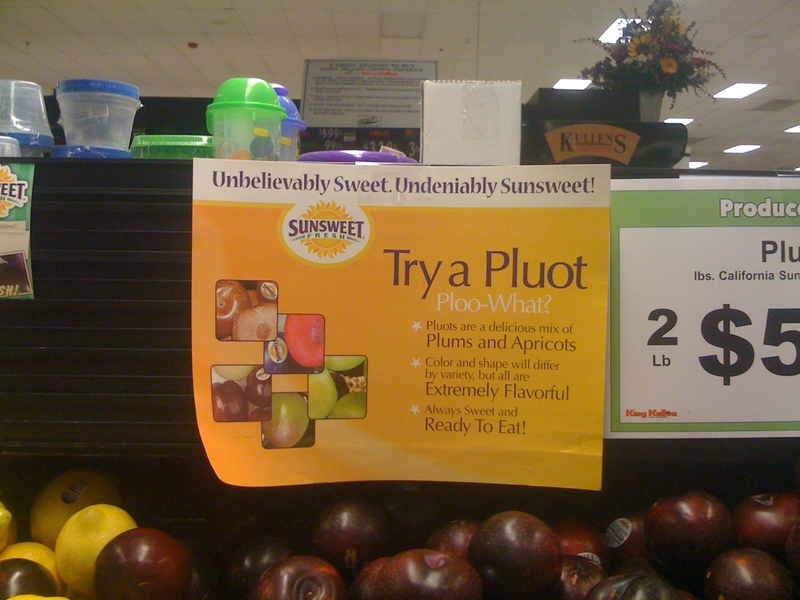 Yes, Pluots. Over-the-shoulder reading is not really all that uncommon in a city where we spend a great deal of our time packed into close quarters with each other for transit. In this setting, you can’t help but notice your neighbors and perhaps a story or a graphic catches your eye. However, there is a difference between a peek at a headline and trying to read the entire feature between subway stops. It places the shoulder-reader in very close proximity, encroaching on the meager personal space boundaries that have been etched out. Is it a conscious transgression or a by-product of newly established sharing norms? We'll get back to the regularly scheduled program tomorrow, folks. But in the meantime, I wanted to float an idea out there. In September, I'd like to run a feature where I tackle your real world questions about behavior, life in an urban environment, and digital sociality. I'm calling for questions. I'll be accepting suggestions for the next two weeks after which I'll close the comments and will select several to cover in September. So let me know—what kinds of things are you wondering about? Update 08/20/10: Given the overwhelming response, I've left the comments open. So what's on your mind? Supporters of Anthropology in Practice know that one of the issues I regularly explore here is the ways in which digital media shapes our lives. Digital identity and the issue of authenticity is a topic I’ve broached several times. And I have tried to project an accurate and meaningful image of AiP in my digital activities—from my Tweets, to the Facebook page, right down to the look and feel of the blog itself, I understand that the nature of my digital presence is integral to the relationship we will have with each other, even though our relationship may largely be based in the digital space. I am also very aware that there is a great deal of me in this blog. How can there not be? These are my thoughts, my ideas, my connections. You visit to read and review my output. I’m always thrilled when you agree, and I’m interested when you don’t. I like to talk—couldn’t you tell?—and I’m glad to dissect ideas and consider alternative views. That said, I was alarmed when some questions arose about my banner. Someone on Twitter forwarded me two links that deal with the “march of progress” image in my banner and raised concerns about misrepresenting evolution. (You may view these links here and here.) I was really disappointed that these associations could be connected with AiP. I was particularly concerned with the first point because, as I told the link supplier, miseducation is not part of the plan at AiP. I began to think about alternatives for the images. I talked this over with several close friends (and S, of course), and despite my concerns, the consensus was that I would be crazy to make a change. This particular banner is me, they said. It captured the essence of AiP and of my mission, and it was not uninformative. They got it. When I launched AiP, I had no brand. I wanted to convey a sense of connectedness but my banner didn’t actually send this message. I was using a standard blogspot image for the template. It was a nature scene. It was a mess in terms of identity. As I wrote more and AiP grew, its voice became clearer as did my own mission here. When I began to seriously think about a new look and feel for the blog I asked myself, “What is Anthropology in Practice?” It was anthropology in practice, which meant a few things: anthropology applied to daily understandings, anthropology taken out of the classroom, and a demonstration of how the discipline has changed. When I put all of these things together, it was Darwin who came to mind. The Origin of Species in many ways typifies anthropology in practice: It is one of the most important written pieces that looks at the world around us and explains our connections. It is anthropology applied to daily understandings. It is anthropology taken out of the classroom. And now, years later, it stands a demonstration of how the discipline has changed. 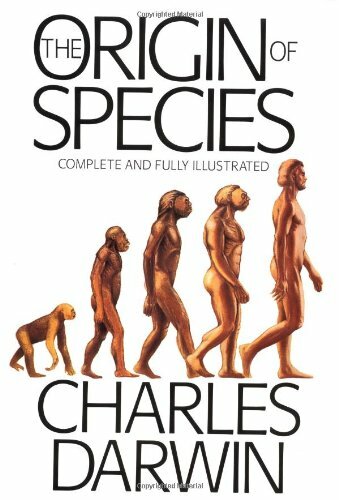 We know now that evolution is not the direct progression depicted here—the image in the banner is taken from the cover of Origin—because we have refined our understanding and have evidence to suggest otherwise. That resonated deeply with me. Nothing I write here, nothing about human behavior, in fact, is written in stone. I put my ideas out there to contribute to our understanding of ourselves, and if in 5 years or in 50 years, we have a better understanding of how people are connected and changed by technology, history, and each other, then all the better. AiP is meant to make you think about the ordinary in new ways. So the second iteration of the AiP banner included the image from the cover of The Origin of Species. It still wasn’t quite right. But I felt it was closer to my goals than I had been previously. And then I teamed up with an amazing designer, and he took the image and showed me how it could actually say these things. And after considering the information shared with me, and visiting a few alternative ideas, I have decided that the banner will remain. Nothing else seems to tell this story—my story—in this way. I have added a disclaimer to the About page which explains this in brief and states that use of the image does not endorse a “progressive” idea about evolution. 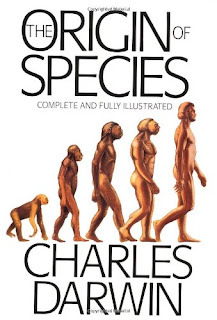 To clarify this point, I removed the chimp figure on the far left of Darwin's cover. I meant what I said: it is not the goal or intention of AiP to misinform. The other issue raised by the links shared with me was the issue of racism. There has been a long and unfortunate history where "blackness and primitiveness are condensed into images of monkeys as human ancestors." This criticism targets my choice of black for the hominid figures. I admit that I dismissed this critique flippantly because the objects in the header are silhouettes. They are not tied to a particular race or people—and there is nothing in the images that would stereotypically connect them with African heritage other than the color, and black is indeed a color of more than just people. The figures are not shown as sambos or mammies. They are shapes representing a view of evolution, and I ask you to look at them as such. I also want to pause here and publicly thank designer Andrew Borys for his patience and willingness to help me shape my blogging endeavor. He has entertained every idea I’ve pitched, no matter how outlandish. He has let me make these decisions on my own, and offered honest feedback when asked. I also need to acknowledge S here because he has held fast to the original vision for AiP. Even when it became cloudy for me, he knew. And for this I am deeply grateful. There is a story I often tell about the genesis of AiP: While I was in grad school, I held a full time job in the “real world” in my present field. I once explained to a colleague what I was studying and he said, “Anthropology? Shouldn’t you be studying tribes in a rainforest somewhere?” Rather than treating this as an ignorant comment and brushing it off, I began to think about the relationship anthropology has with the public. For the general public, the discipline has been defined by Indiana Jones, Lara Croft, and recently, the Discovery Channel. I developed AiP for this audience and also for those in academia who are willing to look beyond their classroom walls. It is anthropology for James Smith who has 15 minutes in the morning and surfs the web for something to read while he drinks his coffee. It is anthropology for the commuters, for the folks who buy lunch from the lunch trucks, for the folks who are willing to see the connections that bind us. Your identity is your own—online and offline. And it's up to you to define it. Thanks to all who visit and read and share. I'm introducing a new Friday feature here at AiP called The Anthro Reader. Longtime readers will find that it resembles the former In the News: Weekly Roundup feature which I discontinued because it served no real purpose to me or you—it was just an odd assortment of links that seemed to grow each week drawn from what a variety of sources. It was a mess. Well, this too will be an assortment of links, but hopefully less oddly assembled. My goal for The Anthro Reader is to highlight interesting anthro and science reads from around the web. In general, I'll try to keep the list relatively small by only highlighting 3 - 5 posts a week though this isn't a hard and fast number—sometimes there may be more to share. Readers, you're also invited to send me interesting reads that may be featured here. You can message me on Twitter @anthinpractice or send me an email. The first thing you noticed was the smell. It was an oppressive, suffocating odor. It assaulted your senses day and night, at work, at rest, preparing a meal, or enjoying children’s games. It pervaded every aspect of your life and soiled the very experience of living, and dying. It was the birth of modern civilization. East London in 1841 was a society on the brink of collapse. It is a riveting read about the failures of urban planning in East London and the surprising rise of Thomas Huxley in a ragged and desperate environment. East London was rivaled only by New York's own Five Points, but I say this with the understanding that the horrors of the past tend to fade with time, and East London was slowly being reigned in when the Five Points emerged. I know from my research about this neighborhood that while there were many bright stars, only a select few managed to survive, and Huxley's story is well told by Eric. Even if they are on the ropes, they still hold a kind of desolate beauty, they are still vital enough to tell tales of their late owners. This is one of the reasons I am so captivated by signs of our past that manage to push themselves to the surface of the asphalt streets and stick out from the building facades. On or about the 25th of October last, while a man by the name of Theophilus Picot was engaged at his usual occupation of fishing, off the eastern end of Great Bell Island in Conception Bay, his attention was attracted to an object floating on the surface of the water, which at a distance he supposed to be a sail, or the débris of some wreck, but which proved upon nearer inspection to be endowed with life. Picot, on observing that the object was alive, to satisfy his curiosity pushed his boat alongside, and I believe struck at it with an oar or boat-hook, whereupon the creature’s fury seemed to be aroused, and it struck at the bottom of the boat with its beak, and immediately afterward threw its monstrous tentacles over the boat, which probably it might have dragged to the bottom had not Picot with great presence of mind severed one (or more) of the tentacles with his axe. The fearless boatman managed to secure this tentacle, and it was a great boon to scientists looking to study this elusive creature. Not only is this a great story, but it's also an interesting look at how scientific understanding can change through the ages. As we become increasingly comfortable interacting online, it's possible that our offline behaviors may shift as well. But in the meantime, meetings between the two can make for some seriously awkward connections. There really is a social network for everyone, and as I have reported previously, companies are taking steps to loop kids into online socialization at an early age. The newest player is ToonsTunes, a virtual world where kids can create their own music by mixing samples from well-known musicians. And because this is a social network, kids can share their musical creations with each other via virtual concerts. The network has also taken steps to keep kids "plugged in" by integrating their application into other aspects of life, both online and offline: users can post their creations to Facebook or use their tunes as ringtones. The site targets kids ages six to fourteen and it seems that ToonsTunes is looking to be an major element in their introduction to the web. Have you ever had the experience of experiencing a familiar place in a new way? I’m talking about say, for example, when the diner or the coffee shop you frequent often changes the décor. Or when the park finally opens up the section that has been under construction for years. It kind of stuns you for a moment until you can readjust and life can resume normally. But it gives you pause in that moment and you have to consider how the newness of the place fits in the scheme of your life and your plans. And so we meet again. Do you have your coffee? Good! I have some exciting news! A few weeks ago, I reported that there was a disturbance in the science blogosphere. The fallout has changed the face of science writing and a few new blogging collectives have been formed as people reconsidered their objectives as science writers and what blogging collectives meant to them. I was invited to join one of these, Scientopia, and after some deliberation, I decided to participate with a new blog called The Urban Ethnographer. So what does this mean for Anthropology in Practice? I am not moving AiP, which was a serious part of my deliberation. I have a few projects tied to this site, and I wanted to keep those interests separate from my role at Scientopia. Nothing will change here—except perhaps my posting schedule (with a shift to three times a week instead of every day but we'll see how long I can go before I start to run out of steam and S begins to complain about neglect). AiP will continue on the track that has emerged here with a focus on connecting daily events and ordinary, easily overlooked circumstances to ethnographic ideas, including shining a light on our emerging digital sociality. In fact, AiP will even be hosting Eric Michael Johnson's Primate Diaries in Exile Tour in a few weeks, so there's plenty to look forward to here. The Urban Ethnographer is an extension of AiP. I plan to focus more there on how local histories have shaped life in urban centers, such as the New York metropolitan area. For now, I've moved some posts from AiP's archive over to The Urban Ethnographer to help readers get a sense for my style and the focus of that blog. I will be posting there on Tuesdays and Thursdays, and I hope you'll join me. A complete listing of blogs can be found at scientopia.org/blogs. Go visit The Urban Ethnographer and these other great blogs, and feel free to poke around—yes, you may bring your coffee with you.